National gas prices vary wildly based on current oil prices, your location and several other factors. Some consumers don’t bother to research fuel prices because they feel that it takes up too much time, and doesn’t save them any money. However, it is possible to save money by researching gas prices before you stop at a gas station to fill up your vehicle. By knowing how much gas costs in your local area, you can save money and stretch your budget so you’ll have money for other things on your list. There are several ways you can research local gas prices. A quick online search will pull up many websites that provide real-time data on local gas prices at stations in your area. 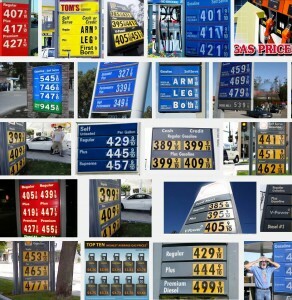 You can use these sites to compare prices and find the best gas prices in your area. There are also several apps for your smartphone that will let you check the price of gas while you are on the go. Be smart when you are chasing down the best gas price in town. If the closest station is charging two cents more for gas, it doesn’t make sense to drive ten miles away to save a couple of pennies per gallon. You spend more to drive to the cheaper station than you save. Also, fuel prices change daily, so keep an eye on the oil market and expert predictions. You may save more by waiting a day or two to fill up. This brings us to another piece of advice. Keep your gas tank full whenever possible so you aren’t forced to purchase gas when the price of gas is highest. By keeping an eye on current gas prices, you can save money and time. 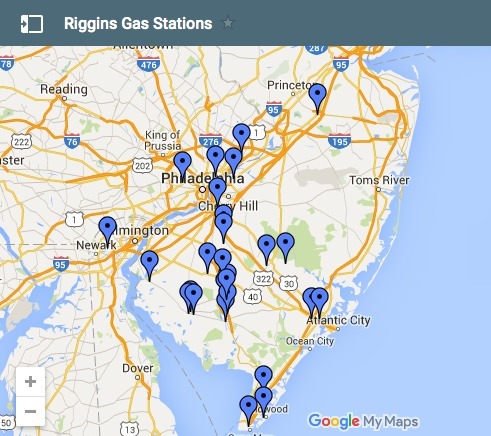 And don’t forget, you can find a Riggins gas station near you, and check out our savings at the pump.